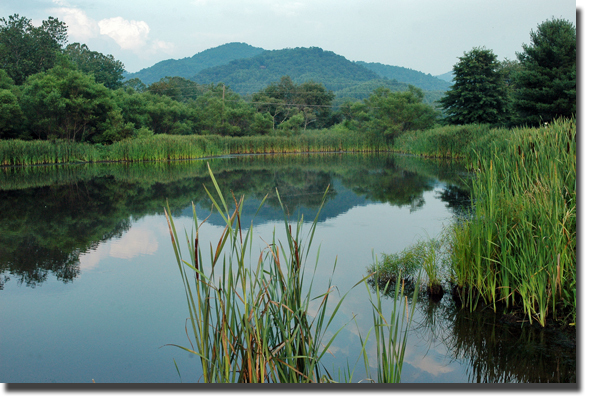 I've been taking walks with my husband each evening at Valle Crucis Park. Save a few other wanderers, we are alone. "Purcell is among the Baroque composers who has had a direct influence on modern rock and roll; according to Pete Townshend of The Who, Purcell was among his influences, particularly evident in the opening bars of The Who's "Pinball Wizard." The title song from the sound track of the film "A Clockwork Orange" is from Purcell's "Music for the Funeral of Queen Mary." "Vous faites de tres belles photos. Si jamais vous sortez un livre, avec ces derniers, prevenez moi."